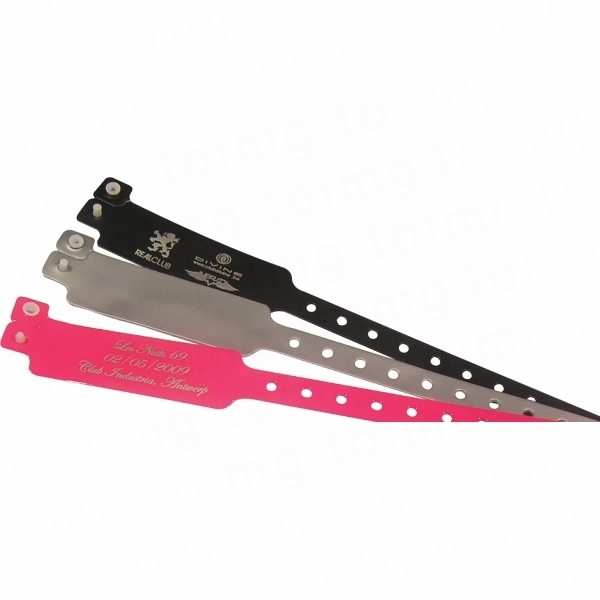 Description Vinyl Security Wristbands. These one off use Security wristbands, available in a wide range of bright and fluorescent colours are perfect for concerts or events and can be printed in 1 colour. Multi colour print subject to sight of designs. Please contact us for a quotation.